All weed and plant growers need LED grow lights due to obvious reasons. The first thing I noticed is the fact there are so many different brands and models out there. Also, most of them are expensive, low-quality or something else. Then I discovered the Viparspectra brand. This brand is owned and run by the Shenzhen Bailuo Technology Co. and already known for providing certain benefits. I will be focused on Viparspectra review, including all you have to know and 5 best products. Uses are something which almost doesn’t have to be mentioned. LED lights for growing weed are mandatory, in the lack of a better word. Plants cannot grow indoors without these lights, so you can get a clear picture why they are so needed. But, Viparspectra LEDs have one advantage here. The lights are optimized in order to boost the overall effect on the plants, making them grow faster and reaching better results over a shorter period of time. I will also be focused on generic and direct Viparspectra review meaning that I will guide you through the process of choosing the right or better said the most suitable model for your needs. Let’s begin with explaining why Viparspectra is so important and so beneficial type of product. First and foremost, there is the price. This brand is well-known for affordable, but high-quality units which are just perfect for beginners and intermediate growers. 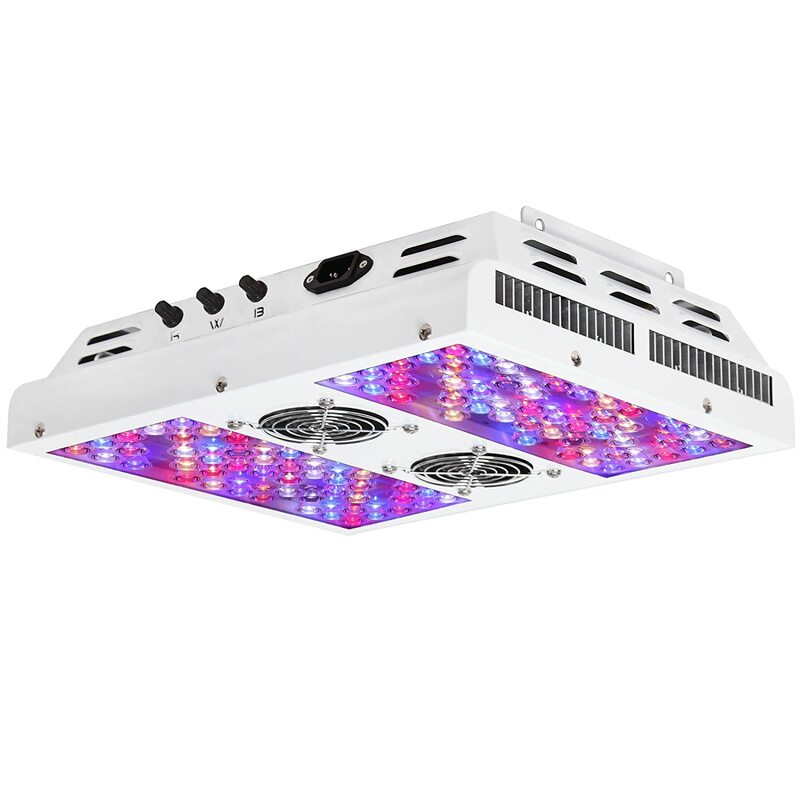 Compared to other brands, their prices are significantly lower, meaning that they are just perfect for those who are looking for LED grow lights on a budget. I did the same thing a while back, so I know how difficult this may be. I also determined that the power consumption is more than just great with all the models made by this brand. On average, they use 50% less energy but provide the same results. For example, a 600W unit will use less than 300W. Over a longer period of time, this is more than just important and has a huge effect on the energy bill and the overall maintenance cost. The situation is the same with all the models, so you will require half the energy other brands require. Perfect for multiple reasons, obviously. Now, the warranty. It isn’t strange to get 5 or 6 years long warranty of LED lights for growing weed, but these models are more than just expensive. On the other hand, we have units which come with a 12-month warranty, which is far from great as well. Viparspectra models come with 3-year warranty, which is a sweet range. The length is more than just right, but there is no a negative effect on the price of the units. Furthermore, all new owners get a 30-day money back guarantee. They can choose between replacement, repair or a full money back. This advantage works perfectly for people who live in the United States, but it can be used if you live outside this country. Now the lifespan of the LEDs. I personally believe that this is the main factor to consider and the one that can make a difference. Here, it is 100.000 hours, making it just great. Also, the same length of the lifespan is guaranteed by other brands. Just to add, there is no better alternative, in this case, so you can get a better idea why 100.000 working hours are so desirable. The last, but not least, extra features are implemented in each package. They are hangers, power cords and fans. Simple, yet powerful. In general, all of these extra features are essential and needed for you. I prefer these hangers which are extremely easy to use, yet strong and durable. In a nutshell, Viparspectra models are more than just great units. They are ideal for beginners and all of you who are looking for an affordable LED grow light of a high-quality and decent features. Each Viparspectra review of the recommended product will include several of the factors I will list below. They are something which can truly make a difference when it comes to choosing a perfect LED grow light. Of course, they are something that can help you get the most out of a unit you want. When it comes to choosing the LED light of any type, Wattage is more than just important. It is actually something that can make a true difference. 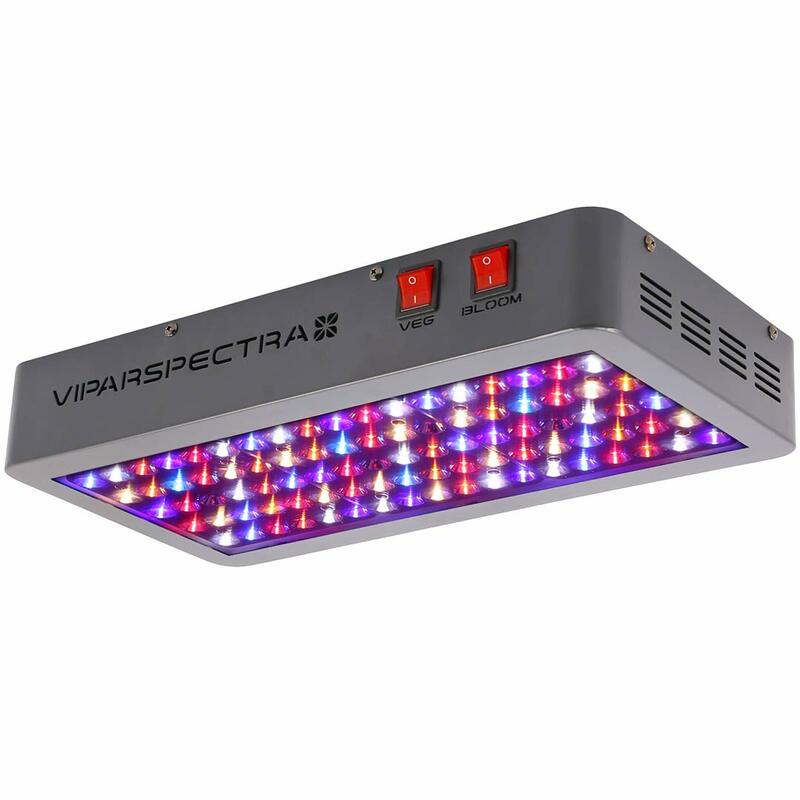 Viparspectra models vary with the Wattage ranges, so there are units between 400 and 1200W. More is always better, but keep in mind that cover area is determined by the Wattage. Higher value models offer more cover area. A nice addition is the fact all models use 50% less energy than equivalent LEDs made by other brands. The size of an LED panel can make a difference as well. I believe this is an important factor to consider, simply because it determined where you can use the LED light and how much space you can cover. I like mid-sized models, but larger ones are great as well. Smaller ones are decent when you want to use them as an addition or you have a very small covered area. Lifespan refers to the duration time in which LEDs will work perfectly. It starts with 10.000 hours and reaches 100.000 hours. I like Viparspectra due to the fact all models come with 100.000 hours lifespan, which is the best range at the moment. It means that your new LED light for growing will last as long as you need it. The shape makes things easier or more complicated. I prefer square units, simply because they can be easily installed anywhere. Round models are decent, but better for a single or a few plants. They are also more difficult to pair with other LEDs. The cooling system is defined by fans and the ventilation system. All models here have a great combination of these two features, so overheating won’t be an issue. Furthermore, they come with dust filters which ensures optimal performances of the fans over a longer period of time. The angle of the LEDs is an important factor. 90 degrees are treated as standard and as the most important, but there are also versions with 120 degrees. If you are a beginner or an intermediate grower, you will know that the first type I mentioned here is more than just ideal. Spectrum ranges have a huge role in growing weed. They start with 730 nm which is infrared technology. But, they reach 7500K, which is the top of the range. 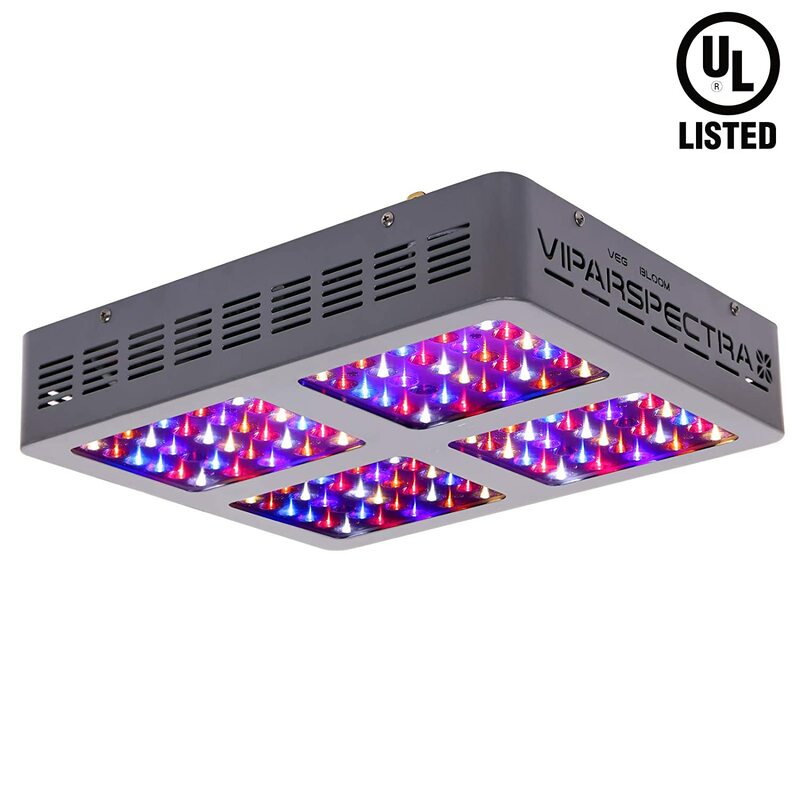 Once again, I like Viparspectra due to the fact they offer all spectrum ranges, which plants like as well. The Viparspectra review of the model in question will prove just one thing. Why this is the best model made by this brand. First of all, the Wattage is 1200, so it is ideal for all users. The dimensions are 5.98 x 21.81 x 22.99 inches, sot the cover area is 4.5 x 4.5 x square feet. The next best thing is an all-new aluminum cooling system paired with new fans. In a nutshell, you don’t have to worry about overheating or damaging your plants. Lifespan is 100.000 hours and the warranty is 3 years. All of you also get the 30-day money back guarantee. A 90-degree angle is implemented as well. Now, the package includes hangers, a power cord and all other elements you will need to start using the unit. I also liked the fact user manual is more than just helpful for beginners. The next main advantage is the timer. It allows you to control the light much easier and at all times. The bottom line here is that this model is the best. It is powerful, eco-friendly and yet it is affordable. Angle, lifespan, cooling system and overall quality are all ideal. I have been using it for a long time and I was completely satisfied. I like the LED light here and I believe it is just ideal for most beginners and those who don’t have a need for a larger model mentioned above but still need plenty of light. One advantage here is the fact it was scientifically engineered, so there are a lot of benefits. First one is the PAR output, which is slightly better than on other models. Then there is a cover area which is much better. The last, but not least is the heating sink which has been significantly upgraded compared to the previous model. Veg and bloom switch is obviously available, so is the eco-friendly advantage. This model uses 269W rather than more, which is standard for some other units. In essence, it saves energy but still provides all the light needed for the plants. In other words, you will get an efficient, yet powerful LED light. Dimensions of 3 x 12.6 x 15 inches made this unit suitable for most, different usages. On my tests, I was perfectly satisfied with it and all the elements were ideal. I also tested the heat output and determined that it produces 70% less heat than HID systems. Other facts you will have to know is that there is no need for ballast, obviously, the angle is 90 degrees and the lifespan is 100.000 hours, as usual. In addition, timer feature is available as well. This model is actually different than the other two I mentioned earlier. First and foremost, the design is different. 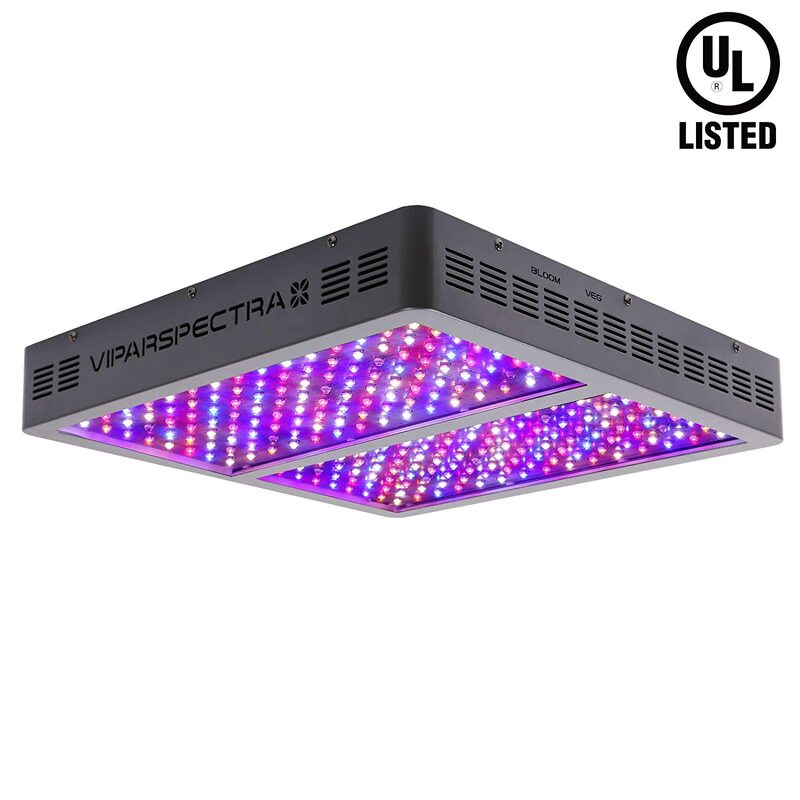 This is an all-new LED grow light made by Viparspectra and it comes with some advantages. Three dimmers are definitely beneficial and nice to use. The system looks more focused on tiny details and for more demanding users. I was able to get a lot of advantages while testing and using the model. Here I should add that dimmers are super accurate. Other than these facts and advantages, the model in question shares the technology and features with other models made by this brand. First of all, it uses 210W, which is ideal, then it comes with 100.000 hours lifespan, 30-days money back guarantee and extraordinary quality. YOYO hangers are state of the art, but a bit more complicated to use than other versions. The timer feature is available as well. So, if you are looking for an LED light made by this brand, but you still want something different, the model in question is just right. It is a state of the art and with 5.98 x 14.02 x 18.5 inches dimensions it will fit perfectly regardless of the place where you want to use it. I liked this model due to some simple facts. It is small, yet powerful and compact, so using it is more than just perfect, even for beginners and those who are not proficient with LED lights for their weed. 2.4 x 8.4 x 15.8 inches dimensions suggest this perfectly. In addition, it is lightweight as well, so there are no worries with the matter. I also liked the fact it is very affordable, despite the features and the overall quality. All elements are made from high-quality plastics and materials in general, so the unit feels strong and resistant. Then there is the well-known list of advantages Viparspectra has to offer. Long lifespan, great warranty, and full spectrum capabilities are all included. Yes, timer and hangers are available. At the end, I must say that this is one of the LED lights for growers who want it all, but still want an affordable model. It offers all the advantages and all the features you are going to need, but it is simple to use, well-made and doesn’t have hidden drawbacks. Keep in mind that it isn’t waterproof and it is designed for indoor use only. A while back I was looking for cheap LED grow light with small dimensions, yet a big impact on my plants. I was able to find affordable, yet high-quality model. It is the one I am reviewing at the moment. In general, it is a decent model which offers all, but nothing more. Don’t expect some massive cover area or planet of LEDs, but all other elements and factors were met. I liked the fact it uses 136W, which is actually better than some models 2-3 times more expensive. 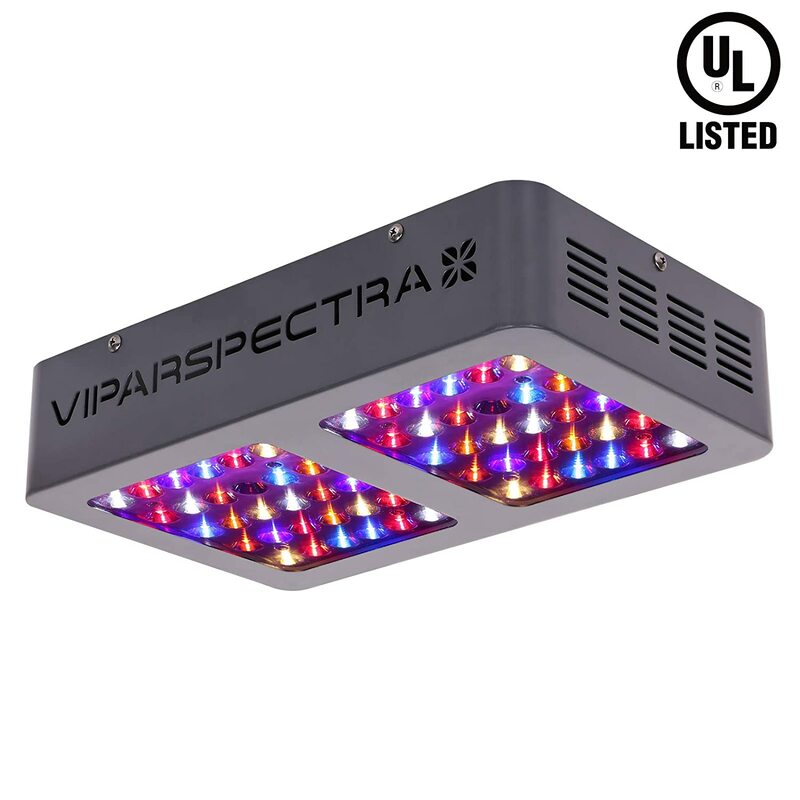 The Viparspectra review features a long lifespan, ideal illumination and all of that packaged in a small and compact housing. I have been using it 2 months and the result was phenomenal. Basically, it is like having a great LED grow light at a low cost. I actually was skeptical about this LED when I purchased it the first time. It didn’t look like a wise choice to make. But, once I started using it, I discovered that it is far better than any other model in this price range. At the end, I must repeat that if you are new to a weed growth, you will have to get this model. It is an extraordinary value for money which offers all the advantages more expensive LEDs provide. Quality is decent, performances are good and simplicity is the best. Each Viparspectra review mentioned above was based on actual tests and real-world application. At the moment, I believe this brand is the best when it comes to price and performance and it offers all advantages you may need or you will need at some point. The quality is more than just impressive and the overall experience with these LEDs was more than just positive. I highly recommend to all of you to get one LED light from the list above, but pair the guide and factors to consider with my recommendations.